When we start practicing meditation, we start feeling relaxed, peaceful and happy. This is a kind of inter-generative process. You meditate and you get the reward in forms of joy and happiness, which in turn motivates you to meditate more. In course of time, it becomes your automatic practice. You feel uneasy and think something is missing from your life if you do not meditate on any particular day. When you start your day with meditation, the peace and joy generated last with you whole day whatever the nature of your activities. It is like taking a healthy and nourishing diet before the start of a strenuous and stressful routine of the day. 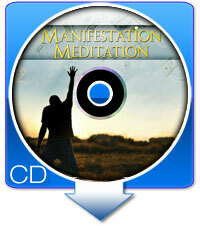 Meditation enables you to become aware of your inner resources of joy and peace. You can tap them whenever you feel stressed and worried. You acquire a habit of detached observation. So if something wrong and irritating happens in course of your day, you can view it as a detached observer. You learn to understand the monkey tricks of your mind. You thus get an inner poise that ultimately percolates into your daily life. The peace and joy that you acquire become infectious to those around you. In this way you try to make the whole environment happy and peaceful. Meditation can issue out positive thoughts in one’s mind. With a healthy mind presents a healthy body. A person may achieve the best of his/her abilities when there is proper relaxation of both. 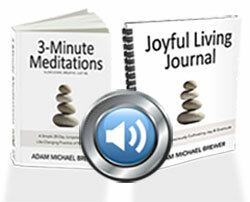 People in different places have utilized various meditation techniques. It is known that meditation has evolved over ages. The different meditation techniques can be utilized by people with certain personalities. It is like fitting a dress. If the meditation technique suits you well, you should pick it out and try it on. To know more, click here. Many people love music.� It is a powerful thing that provides insurmountable joy and energy to the whole body as one listens to it.� It gives a certain kind of awareness to the listener.� Some use music to awaken the senses and also to meditate. To know more, click here. There are many types of meditation. It is easy to execute the techniques employed in meditation. Classic meditation may be done with simple steps. All you need to do is try to focus on the meditation technique you are using. You must be able to displace your thoughts in such a way that it does not flood in your own thoughts. To know more, click here.